Tis the era to be black & beautiful. What other way to bring in black history month than with some woke melanin magic? 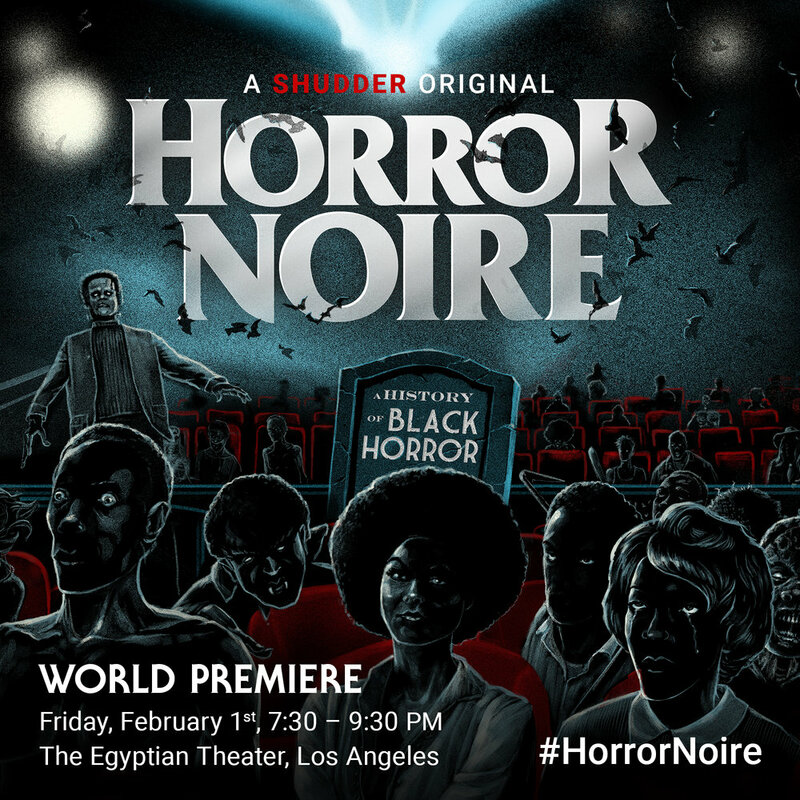 Beginning with the silent film era, HORROR NOIRE explores the often overlooked and downplayed history of black Americans in Hollywood. From Night of the Living Dead to Get Out, they’re reminding us of just how much our kinfolk have contributed to cinema, specifically genre horror. It’s going up on a Friday…as per usual! But this time it’s at The Lash. Oh wait…that’s as per usual too. Pop in for the BAY vs LA: A California Hip Hop Party and enjoy music from all your favorite west coast artists. With music by Kryp2nite, Hayl, Six66ela..it’s bound to be lit. And if that isn’t enough to bring you out, remember it’s free with a RSVP! The perfect place to go to be reminded that black women are the most educated group in America with black men increasingly growing in numbers! And the most resourceful expo to go to when you’re trying to become apart of those statistics. For Us: Black History Month meet-up is back and this time they’re meeting at Bayou Grill. With Martin Luther King often being brought up as the prototype of Black Civil Leaders, it’s befitting that they will be exploring Martin Luther King and how his ideologies has impacted and influenced the black community in present day. They’ll also be celebrating black accomplishments overall, and patronizing a black owned business. Issa win if you ask me. The only place to be on this Saturday night if you’re going for some #selfcaresaturday vibes. Join C.A.A.M for a evening exploring mental health, emotional wellness, and black healing. PLOT TWIST: Mama Jenifer Lewis is bringing all the wisdom, tips, and the chance to cop a autographed copy of her book, The Mother of Black Hollywood. There’s a new mixer in town and it is bringing out all of Los Angeles’ finest melanin. Hold up…do I see…BAE in my inbox? Oh no…it’s just my RSVP confirmation. An evening of gospel, jazz, and blues in celebration of black music historically. With free entry. And free parking. 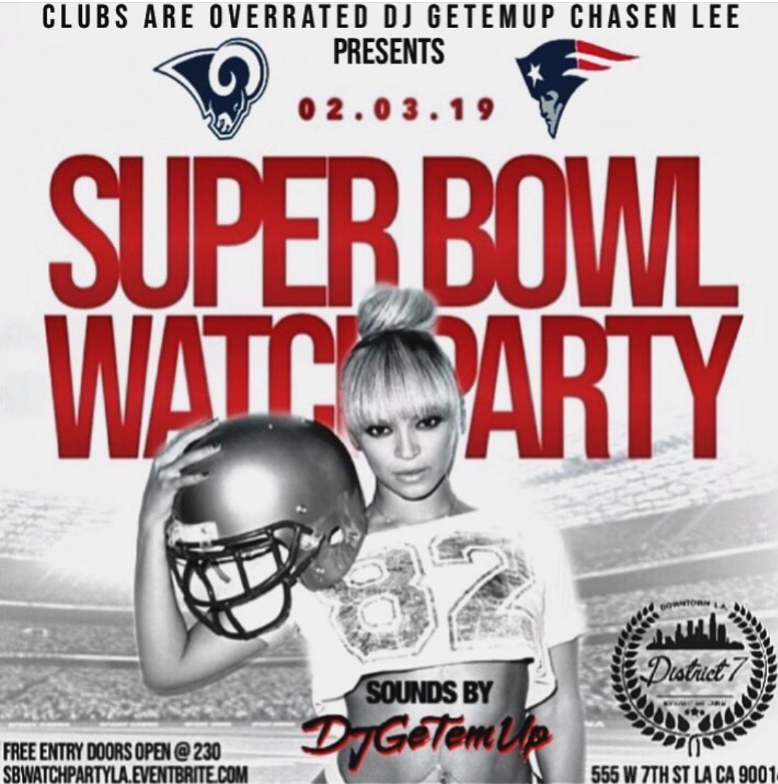 Clubs are Overrated is throwing a Super Bowl party ya’ll. Honestly, if ya’ll plan on watching, this should be the move. The way we see it, it’s better to stream it at one place than in all our individual homes. Don’t let the NFL get all of our streams ya’ll. …… And let us know who ya’ll rooting for. Curated by Health & Wellness yogi, Brittani B. Wells, this class takes us through a smooth and slow stretch that helps lengthen muscle, relieve stress, and ease the nervous system. Ya’ll know this is perfect cause our tired limbs is tired, tired, tired. Truth or Dare Jenga, Naughty Charades, Lick the Whip Cream, Roll the Dice, free tacos, Hard as a Cocktale happy hour, sounds by DJ Kita….and more? Well sheesh, we reckon it's the sexiest Taco Tuesday you'll ever come across! P.S. It’s buy one ticket, get a friend in free. Ella Turenne is bringing the black excellence with her critically acclaimed solo show : Love, Locs, & Liberation. 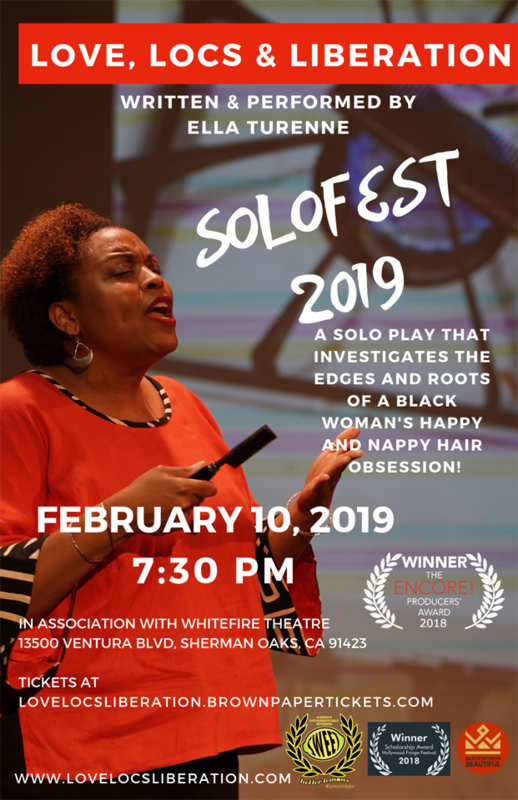 Through the eyes of 21 different characters, a 5th grade bully to Madam CJ Walker, she exposes the hair connection to politics, identity and culture, illustrating why hair is an intimate and essential part of Black life. I don’t know about you all…but we’re excited for this one. Share This W/ The Squad! HOSTING AN EVENT SOON? BLACK BOOK LA WANTS TO HEAR ALL ABOUT IT. CLICK HERE TO ADVERTISE WITH US! Older Post10 Opportunities to Show Off Your Melanin This Week in LA!